Always colourfully costumed, bright and bubbly, Angie comes armed with a large stack of hoops and some funky tunes. 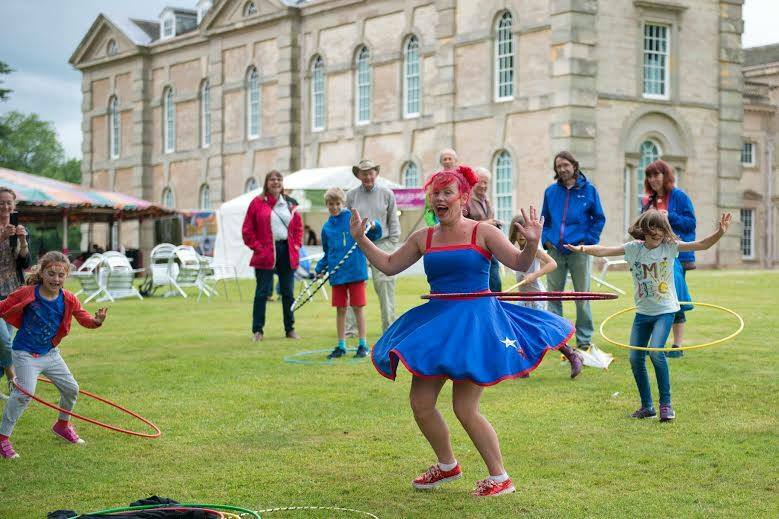 She will wow everyone with her impromptu hula hooping displays around your event before getting a few helpers up to show just how much fun it is. This is an interactive walkabout that encourages everyone, even those who never thought it was possible to join in, get up and hoop, and for those slightly less adventurous or unable to partake to simply enjoy the spectacle. 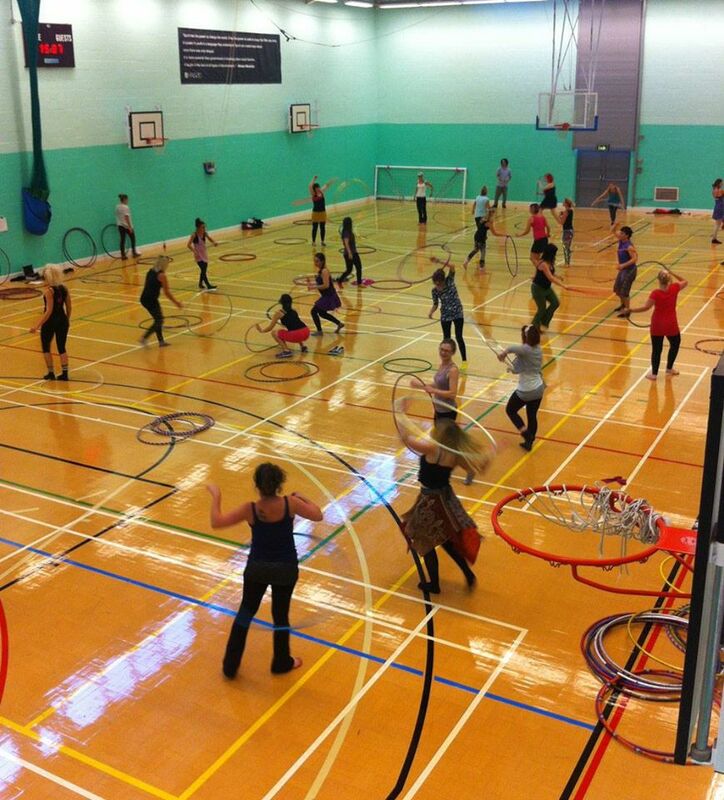 It finishes by Angie gathering up all the hoops into a massive hoop stack finale. Costumes and music can always be themed to suit any type of event or festival. Battery powered portable music system provided. 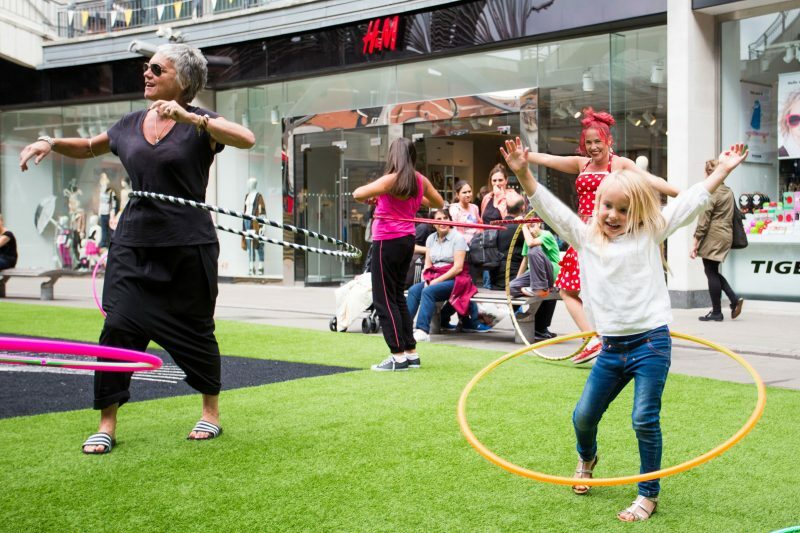 The beautiful thing about hula hooping is that it crosses the generations, kids, mums, dads, grandparents, with the right hoops and a little encouragement anyone can look good in a hoop. This is a fun and creative way to increase your core strength, flexibility and spatial awareness, the irresistible Angie will have you hooping in no time. Individuals or groups, intensive or open workshops, team building days, ages 5 – 95, this one’s for everyone! 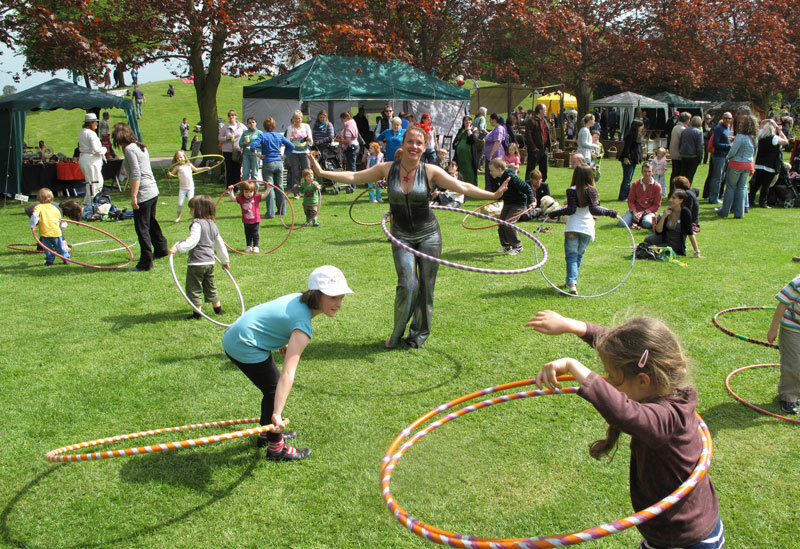 If you’ve tried hooping with a child’s hoop before don’t be dismayed, once you’ve got a professional hoop around your hips Angie guarantees to get you hooping! 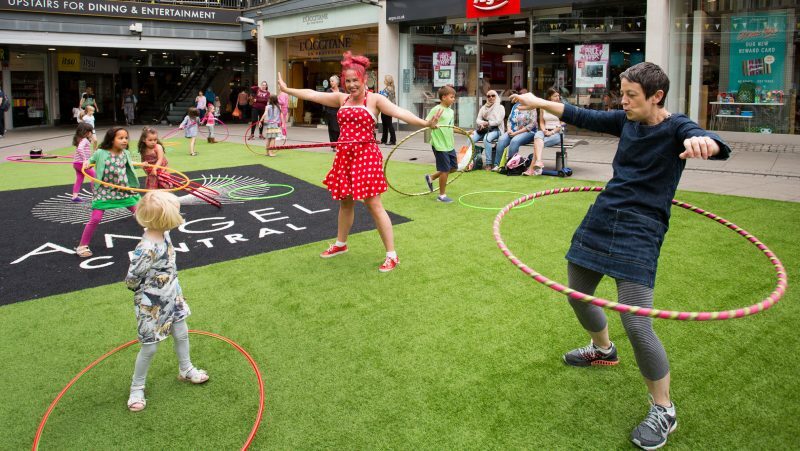 Combine the walkabout or workshop option with a hula hoop comedy street or stage show to provide a memorable, fun and positive impact at your event.